donald trump – Welcome to Daly Dose Sports- Your dose of sports and sarcasm. Daly Dose Poll: Who are you writing in on your Presidential ballot? 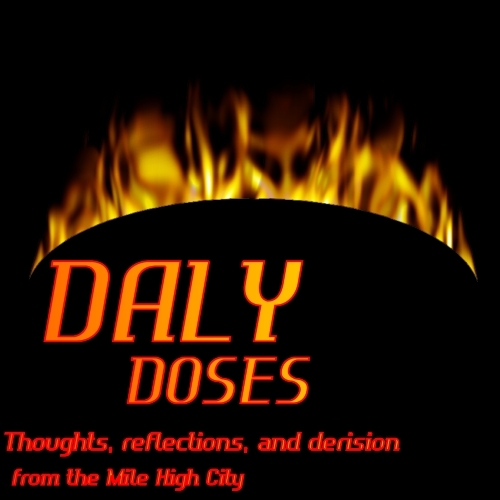 This week on the Daly Dose Sports Podcast, Clint is joined by longtime friend of the show, Mike in Castle Rock to discuss the 2016 NFL season at the halfway point. Which teams are looking like the strongest? And which teams should be kicked out of the league? And with the 2016 Presidential election coming quickly, we all know that this isn’t the strongest group of candidates that we’ve ever had. So this week, we count down the Top 5 more qualified candidates, that we would rather vote for next week! Plus World Series talk, college football, and what the early NBA season means! Be sure to check out Episode #101 The 2016 NFL Midseason Review! With the 2016 Presidential Election coming in just a few weeks, this week on the Daly Dose Sports Podcast, we sit down with the presidential candidates Hillary Clinton and Donald Trump! Clint asks each candidate some very direct questions, and gets some very direct answers, that just might sway your vote! Plus we look at some of the top NFL stories, a look at the MLB Playoffs, and a college football mid-season report. And then we count down the Top 5 lowest ranked college football teams in history, that ended up winning the National Championship! This a very special episode of the Dose that you do not want to miss! This week on the Daly Dose Sports Podcast, Clint answers some of the best listener emails that we have received lately. Did the Denver Broncos spend too much to keep Von Miller? How does Kevin Durant signing with the Golden State Warriors affect the rest of the NBA? Is LeBron James better than Michael Jordan? Plus, how to get through the day at a boring job, dealing with an obnoxious coworkers, and who the Daly Dose will be voting for this November. Check out Episode 86!